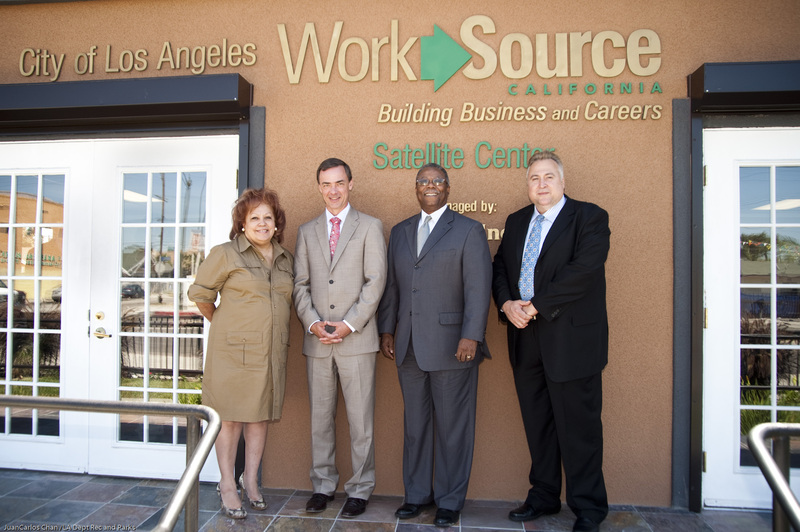 Last week I visited a new WorkSource Center Satellite in South Los Angeles, where a Recovery Act investment by NTIA has funded 25 new computer stations that community members seeking jobs can use. Coupled with hands-on assistance and career counseling from trained personnel, this investment is creating economic opportunities in a neighborhood where poverty and unemployment rates are unacceptably high. All told, NTIA’s $7.5 million grant to the City of Los Angeles for its Computer Access Network (LA CAN) project–part of a $4 billion Recovery Act investment to expand broadband access and adoption in communities nationwide–will upgrade more than 180 public computer centers in some of the city’s neediest neighborhoods. The WorkSource Center Satellite is located with the Chicana Service Action Center, whose CEO, Sophia Esparza, told me how the project is preparing job seekers, not for yesterday’s jobs, but for the “green jobs” of the future. Customers, including returning veterans and Temporary Assistance for Needy Families (TANF) recipients, are benefiting from strong partnerships between the city and local employers to place solar installers, energy auditors, lead green technicians and electrical auto technicians into well-paying jobs. The center expects to serve about 150,000 jobseekers annually. The project team illustrated for me how the Center is helping unemployed residents transition to the workplace. In recent months, for instance, a 51-year-old man who was receiving food stamps came to the Center in desperate need of a job. After attending workshops on basic computer literacy, resume writing and interview skills, he is now working as a sales representative and looking forward to his first pay raise. Another example: a 25-year-old single mother of two, who never held a permanent job and relied solely on government assistance, attended workshops and received one-on-one support from the Center. She is now employed as a data entry clerk. For many adults, free computer training can be a life-changing experience. In fact, the LA CAN team is so committed to ensuring this Recovery Act investment benefits residents right away that they have found creative ways to accelerate the project schedule, aiming to finish ahead of their original plan. 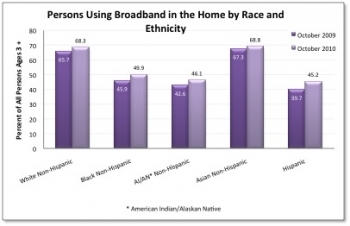 They know that to bring their community the jobs of the future, the community needs broadband access today.